At Large Affiliate - $258.00 (USD) Subscription period: 1 year, on: January 1st No automatically recurring payments Please note: Online pricing reflects a 3% credit card processing fee. At Large Associate - $181.00 (USD) Subscription period: 1 year, on: January 1st No automatically recurring payments Please note: Online pricing reflects a 3% credit card processing fee. At Large Concierge - $181.00 (USD) Subscription period: 1 year, on: January 1st No automatically recurring payments Please note: Online pricing reflects a 3% credit card processing fee. Australia - At Large - $95.00 (USD) Subscription period: 1 year, on: January 1st No automatically recurring payments Please note: Online pricing reflects a 3% credit card processing fee. Houston (Greater) Chapter - Student - $52.00 (USD) Subscription period: Unlimited Includes students enrolled in a secondary education program involving a hospitality/tourism curriculum. 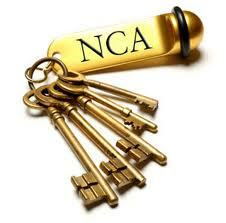 Certain criteria must be met in accordance with NCA bylaws.